André Galluzzi has been a vinyl DJ for over 25 years. During that time he has enjoyed residencies at some of the world's best known clubs, including Ostgut, Berghain and Tresor. An equally prolific producer, the past two decades have seen him release on labels such as Cocoon, Ostgut Ton, Cadenza, Ongaku Musik, Force Inc. Music, Plus 8 and Music Man. The co-founder of Taksi Records, Galluzzi's latest endeavour is Aras, an outlet for his own unique take on house and techno, Born in 1973 in Frankfurt, Germany, André became dedicated to the fascinating world of rhythm very early on. When working as a bartender in a club, he got the chance to fill in for the DJ at merely 14-years-old; an experience that would greatly change the course of his life Excelling behind the decks, he became a regular in a handful of clubs in the early 90’s. In 1994 he started working at the renowned record distributor Neuton, where he met Paul Brtschitsch, with whom he established the much-renowned Taksi Records label in 1995. One year on he joined Tresor as resident with the club at the peak of its global popularity. Following a move to Berlin, he then became the first resident at Ostgut, the parent club of the world-renowned Berghain. Following Ostgut's closing in 2001, André released the legendary mix compilation, André Galluzzi: Im Garten and created a highly- influential event series, Submerge, which lasted for two years. 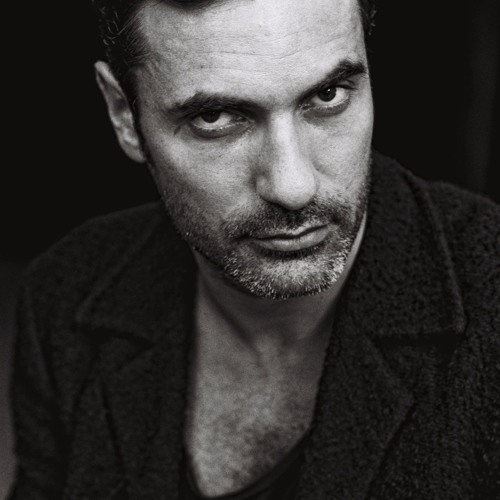 Famed for his intoxicating 10-hour sets, Galluzzi became a regular Berghain and at Amnesia in Ibiza for Sven Vath's Cocoon party around this time also. In 2005 he started a studio cooperation with Guido Schneider, which resulted in various releases on Cadenza, Cocoon and Highgrade, including their track Albertino, released in 2007. Looking for a new playground, André established Aras in 2011, a platform for both his own music and up-and-coming talents. Known for its innovative and unconventional approach to electronic music, the label continues to be supported by some of the scene's foremost players. A true musical obsessive and a much-respected DJ and producer, André's passion for sound continues to inspire a whole new generation of dancefloor dwellers.